The charging infrastructure for these electric vehicles are just not there yet, but XCharge is tackling this problem. The company offers various charging stations systems to provide drivers of electric cars with more accessibility when it comes to charging their cars. XCharge has become a major force with the number of charging stations they have implemented. Founded in 2015, XCharge has already implemented 30,000 charging points in China. The industry average of charging points implemented is below 15%. XCharge has reached an industry-record usage rate of 84% per charging point throughout China. Though, currently their next mission is to expand into European territory, in which they have already set up an office in Hamburg Germany. XCharge has implemented a “Hardware + Software” system which supposedly allows clients to maximize their charging revenue while minimizing maintenance costs. For hardware, additional Cortex A8 smart chip allows the adoption of Android OS in the charging stations, which gives great extensibility to support functions such as bluetooth, wifi etc. For software, they support functions including turnover management (delay-fee mechanism to increase usage, auto lock to secure charging spot), user group management (different pricing for each user group), and smart output power distribution based on charging behavior data. 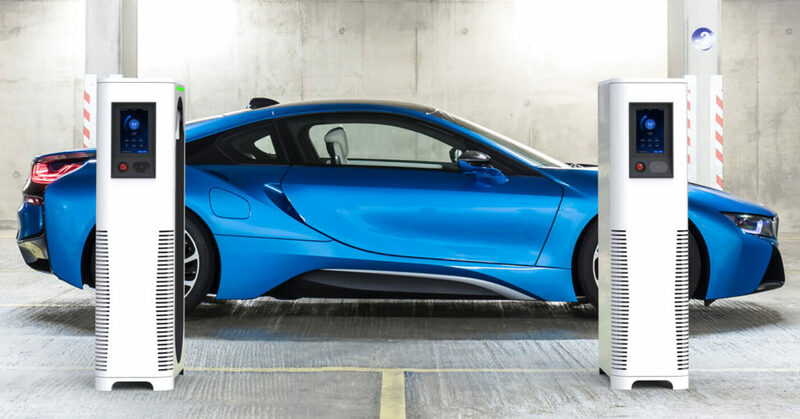 The AC Wallbox C1 is a smart and economical AC charging station designed for EV manufacturers and real estate developers. While the AC Wallbox C2 provides smart and economical charging support most ideal for use at residential community and commercial real estate area. The AC Charging Station C4 is an intelligent charger ideal to perform large-scale centralized deployment and fast charging to electric buses and logistics vehicles. The co-founders of the company, Ray Ding and Simon Hou, were both early employees of Tesla China. During their time at Tesla, they both worked in the charging program department. Co founder Ray Ding possesses a deep knowledge about the development and implementation of the EV charging industry. While the COO Sim Hou, has a focus on the future development of the EV industry. For more details you can check their website and Facebook page.